Spartanburg Academic Movement (SAM) Selected for Impact and Improvement Network Focused on Child Development from Birth to 3 along with select group of 5 organizations across the U.S.
Spartanburg Academic Movement (SAM) joins five other communities selected from across the country to participate in the Prenatal to Age 3 Impact and Improvement Network being led by StriveTogether, a national nonprofit working to improve education for every child. Launched in partnership with the National Institute for Children’s Health Quality (NICHQ), this special initiative will improve kindergarten readiness by focusing on child development from birth to age 3. "SAM is honored to be selected among this highly competitive national field to participate in the "Prenatal to 3 Impact and Improvement Network." Research makes clear that brain development leading to kindergarten readiness has begun at birth. SAM's selection for Network inclusion will position us to provide developmental screenings for all pre-K children county-wide, thus increasing the probability that those exhibiting developmental delays can be connected with early intervention services. Engaging with the Pritzker Institute for Children, the National Institute for Child Health Quality, and StriveTogether will push us closer to our county-wide goal of ensuring that all children arrive at kindergarten ready to succeed," said Dr. John Stockwell, SAM's Executive Director. Kindergarten readiness is one of the seven key educational outcomes tracked by StriveTogether Cradle to Career Network communities. 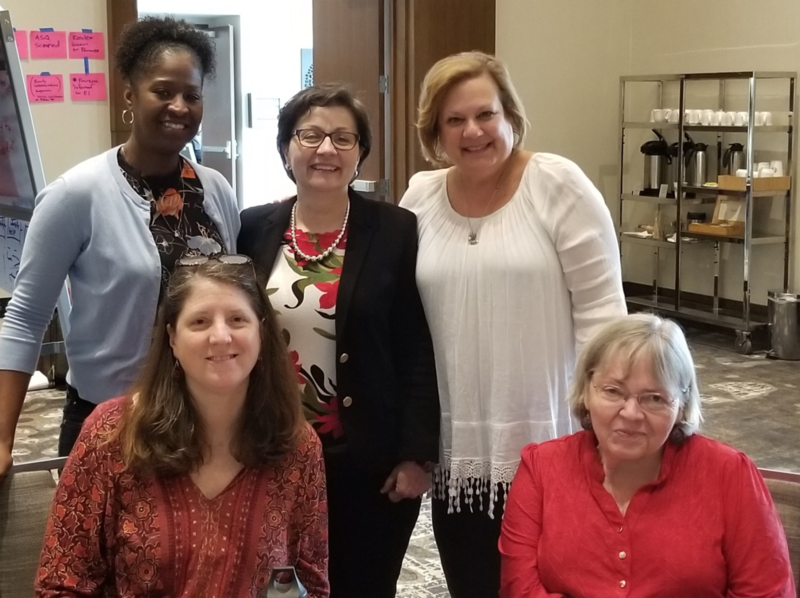 The StriveTogether Prenatal to Age 3 Impact and Improvement Network will increase the number of children meeting critical early milestones by promoting targeted, evidence-based strategies and building the capacity of local leaders and practitioners. Over 16 months, this network will help the six communities improve kindergarten readiness and accelerate progress for local students through an approach that combines leadership development, continuous improvement tools, peer-to-peer learning, design thinking and data use training. Participating communities include Albuquerque, New Mexico (Mission: Graduate); Memphis, Tenn. (Seeding Success); Norwalk, Conn. (Norwalk Acts); Salt Lake City, Utah (Promise Partnerships of Salt Lake); and Tucson, Ariz. (Cradle to Career Partnership). The Prenatal to Age 3 Impact and Improvement Network is part of an effort with three other organizations — the National Association of Counties, National League of Cities and the Center for the Study of Social Policy — to improve the lives of infants, toddlers and families. The partner organizations will equip communities with tools and resources to build strong early childhood systems and share best practices with other cities, counties and states. This critical work is being funded by the Pritzker Children’s Initiative, a project of the J.B. and M.K. Pritzker Family Foundation. This is StriveTogether’s third national Impact and Improvement Network. The StriveTogether Postsecondary Enrollment Impact and Improvement Network boosted completions for federal student aid applications through a data-driven, collaborative model derived from the health care field. Participants supported nearly 31,000 students to complete applications in 2015-16. Five of the six communities increased their yearly completion rates at the school level, four increased district-level completions and three tallied school-level gains of 10 percent or more. StriveTogether leads a national movement of nearly 70 communities to get better results in every child’s life. We coach and connect partners across the country to close gaps by using local data, especially for children of color and low-income children. Communities using our proven approach have seen measurable gains in kindergarten readiness, academic achievement and postsecondary success. The StriveTogether Cradle to Career Network reaches 10.4 million students, involves 10,800 organizations and has partners in 30 states and Washington, D.C. The National Institute for Children’s Health Quality (NICHQ) is a mission-driven nonprofit dedicated to driving sustainable improvements in the complex issues facing children’s health. We provide deep expertise in developing the pathways and partnerships for catalyzing change to achieve better outcomes for children and families. Learn more at www.nichq.org. Newer PostSpartanburg reaches "Proof Point"